Former Big Brother Nigeria winner Efe Ejeba popularly known as Efe Money, has revealed he constantly conceives the desire of helping up and coming artiste to make it in the music industry. 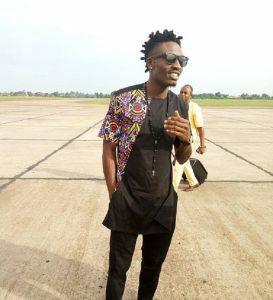 During an interview with Sunday Scoop, Efe also revealed that the constant backlash he gets from people concerning his music career does not get to him as it doesn’t even make him better. He said that the only reason he gets better is because it is only normal for him to develop as an artiste as he can’t always be the same artiste everyday. Efe said; “I don’t think the backlash I got from people has made me a better singer. It is just normal to always want to be better than you were yesterday. As an artiste, I have been growing. I don’t think there is something I am doing now that I wasn’t doing before.